A partnership between historians, anthropologists, preservationists and geologists is unraveling the mystery and history of Oberlin Cemetery, and they’re using some surprising technologies to do it. Oberlin Cemetery is one of only four known African-American cemeteries in Raleigh. Founded in 1873 and used until 1971, the small three-acre plot is key to understanding the history of Oberlin Village, the largest freedman’s village in Wake County during Reconstruction. The Friends of Oberlin Village (FOV) is a group dedicated to preserving this important part of African-American history in Raleigh. 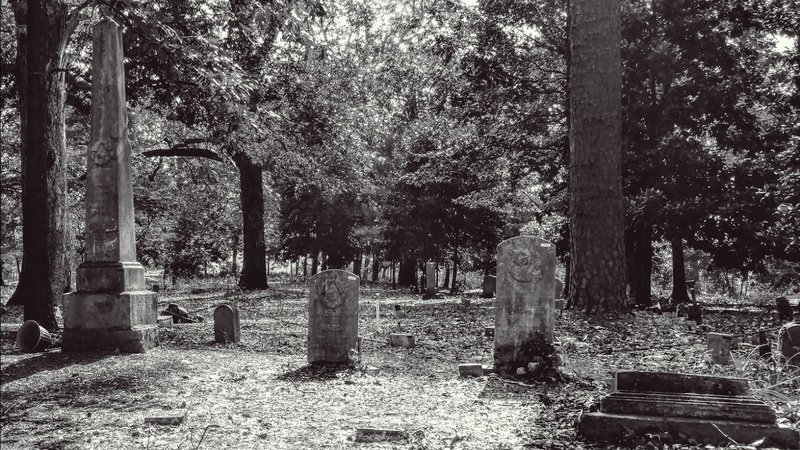 Founded in 2011 by descendants of Oberlin Village residents, the FOV want to preserve the cemetery’s grounds, record a definitive registry of individuals within the cemetery and document oral histories of persons laid to rest at the site. They are also working toward getting the cemetery listed on the National Register of Historic Places. To accomplish their goals, the FOV first needed to know exactly how many people were interred in Oberlin Cemetery. John Millhauser, assistant professor of anthropology and sociology at NC State, read articles about the FOV’s mission and needs and reached out to both the organization and NC State colleague Del Bohnenstiehl, associate professor of marine, earth and atmospheric sciences. Over time, other university departments, including Africana studies and history, got involved. John Wall, who is pursuing a Ph.D. in marine, earth and atmospheric sciences, worked to confirm the number and location of unmarked graves within Oberlin Cemetery. Wall found that existing topographical data for the cemetery didn’t have the answers they needed, so he proposed a solution. 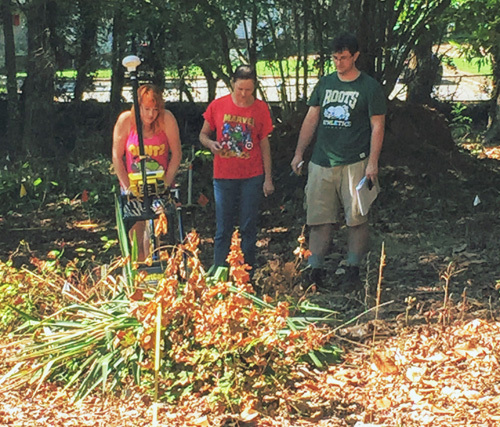 First, student interns Natalia Womack, Lisa Picariello and Morgan Whited from Wake Technical Community College conducted a pedestrian survey of the cemetery, recording the location of surface features and describing each artifact. Next, Wall conducted a survey of the entire area using Terrestrial Laser Scanning (TLS) technology. TLS fires pulses of near-infrared light and uses the reflections to produce a three-dimensional representation of the landscape. A group of these laser-determined positions is referred to as a point cloud. When combined with GPS data, multiple point clouds can be combined to generate a digital elevation model. Finally, ground penetrating radar was utilized to confirm that the subtle depressions described by the interns and modeled by the TLS were indeed graves. The pedestrian survey recorded 671 monuments, of which 209 were identified as headstones and 119 fieldstones. Pedestrian and TLS data identified a total of 355 sunken graves, 297 of which were not associated with a headstone or fieldstone monument, leading the researchers to estimate that 625 individuals are buried in Oberlin Cemetery. “The 625 number was really surprising,” Wall says. 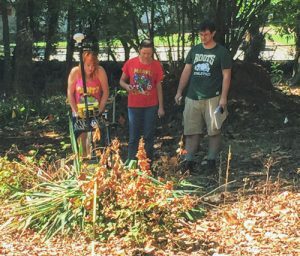 “Even after doing nearly 10 hours a day of field work over the summer the number seemed really amazing – especially given that the cemetery only covers three acres of land. Wall hopes to do more geophysical research on the cemetery this fall with his adviser Bohnenstiehl. Additionally, Millhauser, anthropology and sociology lecturer Dru McGill, assistant professor of history Alicia McGill and Africana studies lecturer Darrell Stover are investigating the ancestry of the people within the cemetery and providing assistance with heritage management and preservation. Read more about Wall’s research and the Oberlin Cemetery here. I was born in 1946 and raised in the Oberlin Community. I attended Oberlin School and playground and played ball on the field in back of the school, which fronts the cemetery. My family and several others have names engraved on the church windows at Wilson Temple UM Church on Oberlin Rd. My grand father (Powell Peebles was buried in the cemetery although he might have been moved at some point.) As a part of our bravery test for Boy Scouts (Troop 104 of the Occanechee Council) we were required to walk through the cemetery at night. This would have been about 1956. James Holloway was our troop leader and our area supervisor was Rev. DN Howard. Not much history here but a lot of fond memories of Oberlin. Thanks for preserving this bit of our history. I am related to Miss Lucy Mildred HAYES. She died in 1963 in Maxton, ROBESON County NC. her parent were William P and Francis Hayes. can you give me any information on them or tell me who may be able to help me? My great great grandfather died in 1893 and his grave site is now somewhere in a field of soybeans in Greene County, NC. I believe that his tombstone can be found somewhere underground in this field. I would appreciate a contact who can tell me where I can rent equipment that can locate this grave site. Bill, this is not the kind of equipment you can rent. What I suggest is taking a look at the NC Office of State Archaeology’s webpage on graves and cemeteries. You may find some useful information there.